SEGA® of America, Inc. and SEGA® Europe Ltd. today announced a limited free trial for Company of Heroes™ 2: The British Forces from Relic Entertainment™ which will begin at 10:00am PDT/6:00pm BST/7:00pm CET on August 31 and end at 2:00pm PDT/10:00pm BST/11:00pm CET on September 2 2015. During the exclusive Steam trial, which is set to take place just before the final game’s release, up to 55,000 players will get hands-on with the British army. The trial includes access to all the content which includes 15 new units, up to six new commanders (three in the base game and three via the War Spoils loot dropping system) and a total of eight new multiplayer maps as well as the four factions and base commanders from all previous Company of Heroes 2 games. 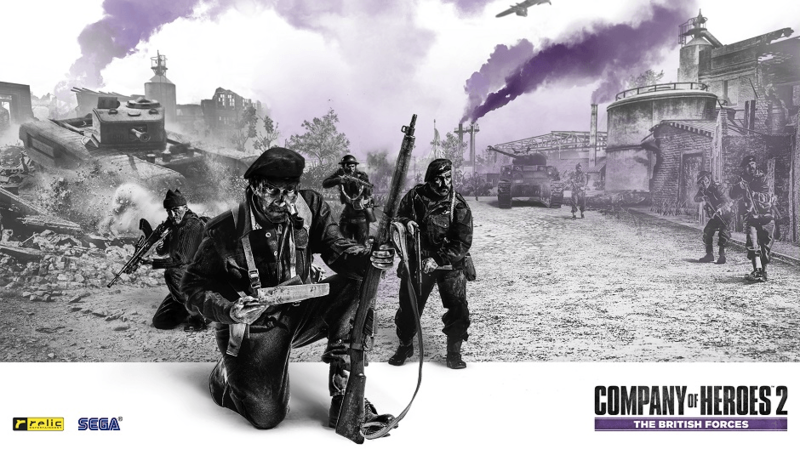 Keep your eyes on the @companyheroes Twitter feed for details of where you can grab a key through exclusive media partners or via Relic. The British Forces adds a new dynamic to the Company of Heroes 2 battlefield by giving players the ability to combine powerful, coordinated attacks across two distinct combat styles – the ‘Hammer’, an aggressive, mobile approach; or the ‘Anvil’, a deliberate but highly potent defensive approach. With the addition of the British army, Company of Heroes 2 is one of the most comprehensive World War II RTS games available. The British Forces will be available on September 3, 2015 for $12.99/£9.99/€12.99 as a stand-alone package or as an addition to the existing factions featured in Company of Heroes 2. New players will also have access to all pre-existing Company of Heroes 2 maps via auto-match as well as the ability to battle against all other existing factions. Pre-order on Steam to receive a 10% discount. Owners of any Company of Heroes game will receive a 20% discount.